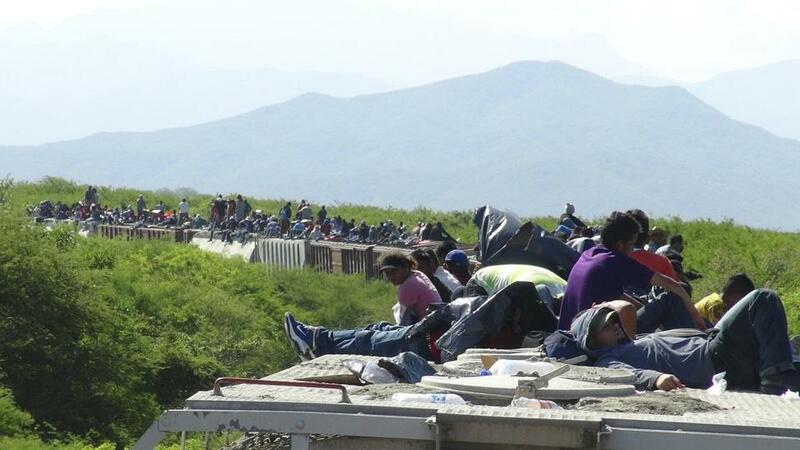 People hoping to reach the US rode atop a freight train in the Mexican state of Oaxaca. ROME — Pope Francis has urged protection for unaccompanied children migrating daily from Central America into the United States, in a message directed at Mexico but with clear implications for debates over immigration policy in America. “Such a humanitarian emergency demands as a first urgent measure that these minors be protected and duly taken in,” the pope said. The pope’s words came in a letter to representatives from the Vatican, Guatemala, Honduras and El Salvador attending a Monday conference in Mexico City to discuss the brewing crisis on the US border. The pontiff noted the particular dangers children from Central America and Mexico face when traveling alone. 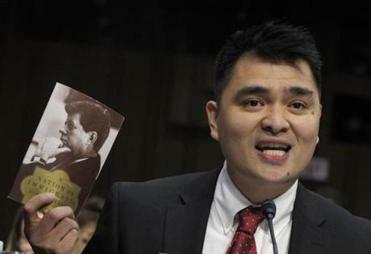 A Border Patrol spokesman said Jose Antonio Vargas was in custody after being stopped going through security at an airport in McAllen. Italian Cardinal Pietro Parolin, the Vatican’s Secretary of State and papal envoy to the conference, called for collaboration between individuals, organizations of civil society, public and private institutions and each country in facing these challenges. This is not the first time Pope Francis has addressed the immigration issue. His first pastoral trip was to the Italian island of Lampedusa, laying a wreath in the sea to commemorate the 20,000 people believed to have perished attempting to make the crossing from North Africa to Europe. “We are a society which has forgotten how to weep, how to experience compassion — ‘suffering with’ others,” the pope said on that outing. “The globalization of indifference has taken from us the ability to weep,” he said. Francis’ example at Lampedusa inspired American Catholic bishops to make a similar trip to the border between the US and Mexico on April 1. Led by Cardinal Sean P. O’Malley of Boston, the bishops celebrated a Mass at the security barrier separating the two countries and administered Communion to people on the Mexican side through slats in the fence. In March, when President Barak Obama visited the pontiff in Rome, both the Vatican and the White House said the two leaders discussed the urgency of immigration reform. The message from Pope Francis comes as US officials struggle to deal with a rising number of unaccompanied minors from Central America apprehended by agents at the US-Mexico border. According to US Customs and Border Protection, more than 52,000 have been processed since October. The Obama administration has been working with Honduras, El Salvador, Guatemala and Mexico trying to discourage migrants from making the trip, funding Spanish-language campaigns in the US, Mexico and Central America for that purpose. On July 8, President Obama asked Congress for $3.7 billion to fund resources intended to fast-track the minors through the US immigration system. Most of them will be returned to their home countries. The gathering in Mexico City comes a week after a similar conference was held in Washington DC, hosted by the Migration and Refugee Services of the US Conference of Catholic Bishops, the Catholic Legal Immigration Network Inc., and Catholic Charities USA. Honduran Cardinal Oscar Rodríguez Maradiaga, president of Caritas Internationalis, the church’s global charity, as well as the coordinator of a council of cardinals advising Pope Francis, set the tone. Maradiaga pointed out that migration fleeing violence and persecution is on the increase, particularly from Central America. “While the Italian navy is dredging up bodies from the Mediterranean and thousands are dying in the sands of the desert between Mexico and the US and in the Sahara, many people are burying their heads in the sand,” he said. Inés San Martín is the Globe’s Rome correspondent. She may be reached at ines.sanmartin@globe.com. Follow her on Twitter at @inesanma.